3:25 p.m.Security is much tighter around the ceremony. 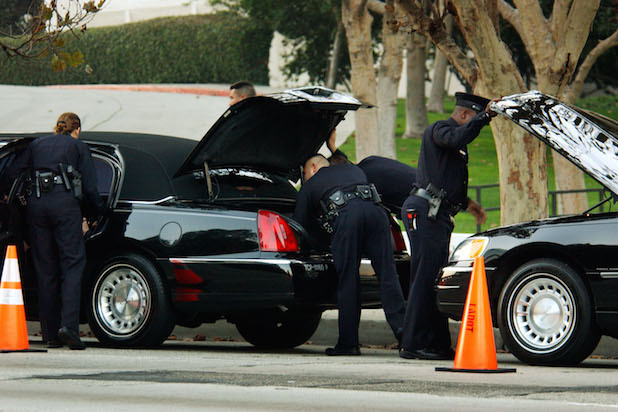 Police are opening trunks and searching all cars, even civilians dropped off in the parking garage without any red carpet access. 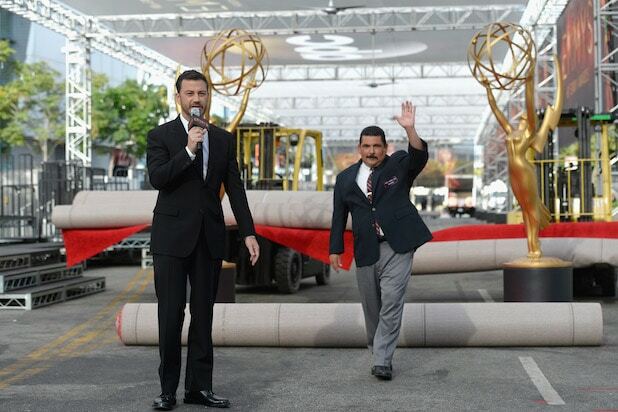 4:49 p.m.Guillermo from "Jimmy Kimmel Live!" does audience warmup. He introduces the kids from Netflix's "Stranger Things," who sing and perform a choreographed dance to "Uptown Funk." Audience loves it. 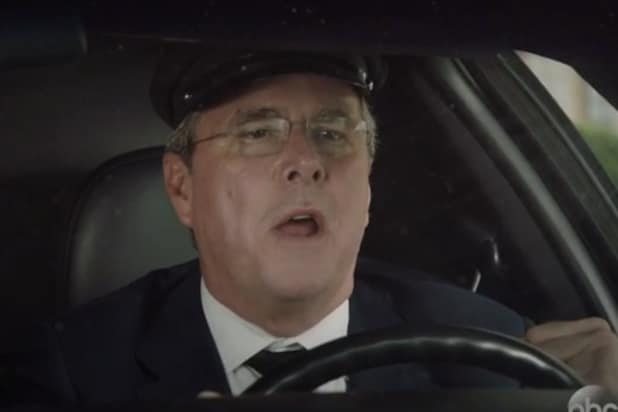 5:03 p.m. From Jimmy Kimmel's celebrity-packed opening package, the industry audience in the room loved the Jeb-Bush-as-presidential-limo-driver and Ryan Seacrest getting torched bits the best. 5:11 p.m.Kyle MacLachlin, Jesse Tyler Ferguson, Michael Kelly, and Courtney P. Vance don't make it inside the theater in time for the show to start. During Kimmel's monologue, they're stuck with about 100 others in an entry hallway at the back of the theater. Kelly and Vance are fanning themselves with their tickets. It's hot in here. 6:19 p.m.During commercials, they're showing a live feed of the Packers-Vikings game on NBC's "Sunday Night Football" inside the theater. 5:52 p.m.The bars aren't serving alcohol. Per protocol, organizers closed the bars at 4:30 with a promise to reopen them at 5:15pm. They omitted the key "without alcohol." People are grumpy. 6:22 p.m.The room loves Sterling K. Brown's win. He gets a standing O from the front sections. Back at the dawn of Emmy season at a screening of the finale, Brown said he was the only lawyer on the show who had to audition.